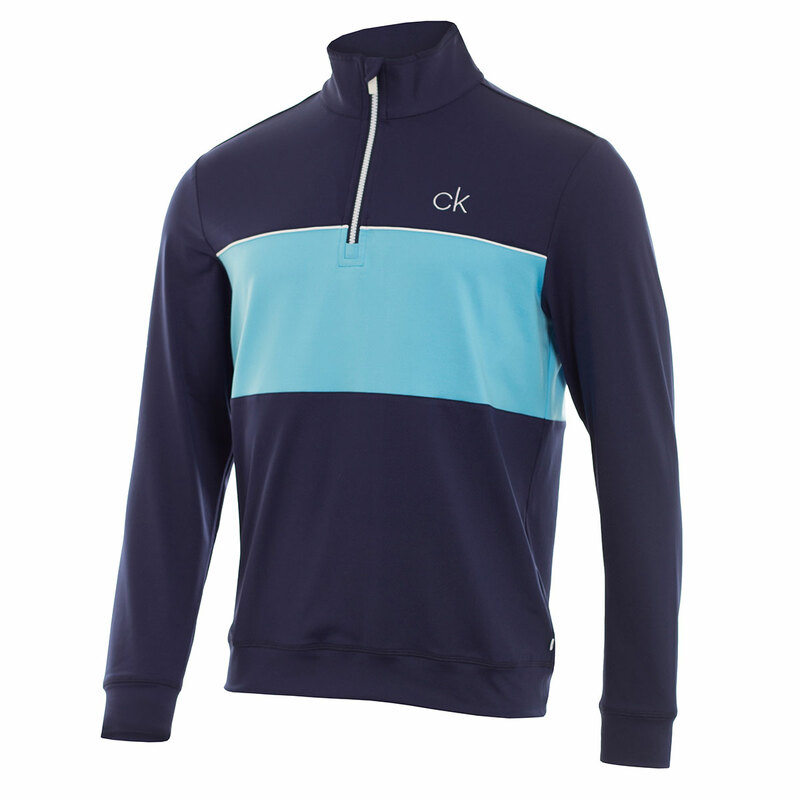 Eye-catching half zip pullover from Calvin Klein golf that provides an insulating layer while still being breathable and maintaining essential moisture wicking properties. 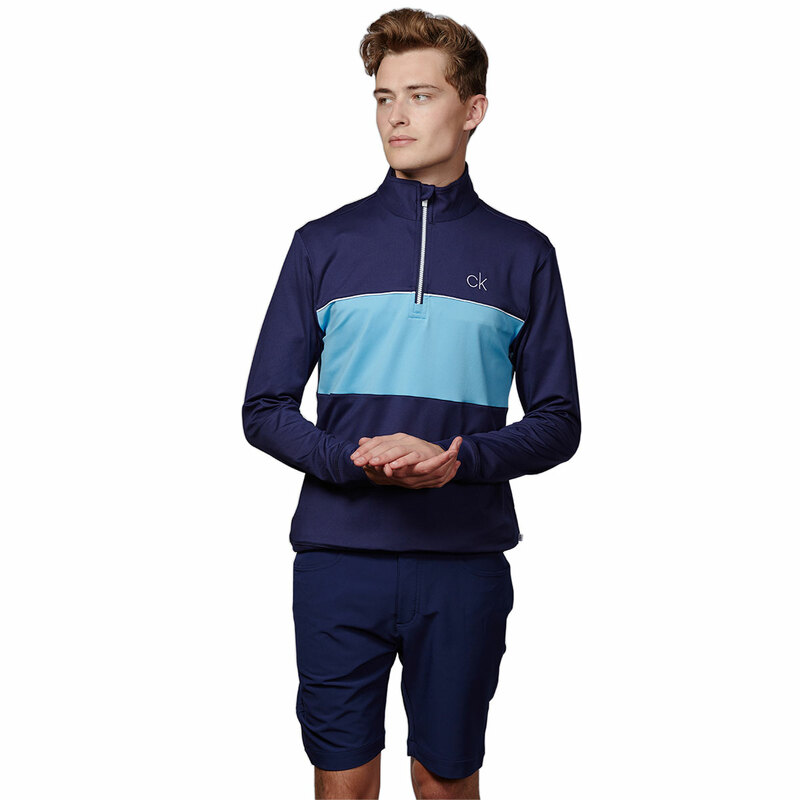 The moisture wicking properties help to remove any perspiration away from the body and help to keep you cool and dry. 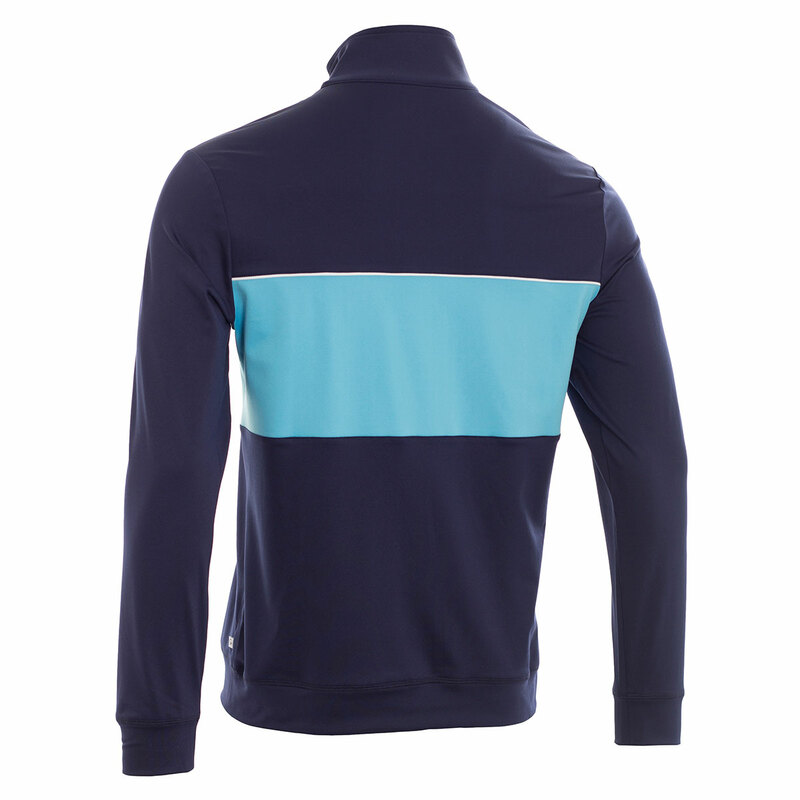 This garment has a smooth mercerized finish and a soft brushed back for a cosy feel. 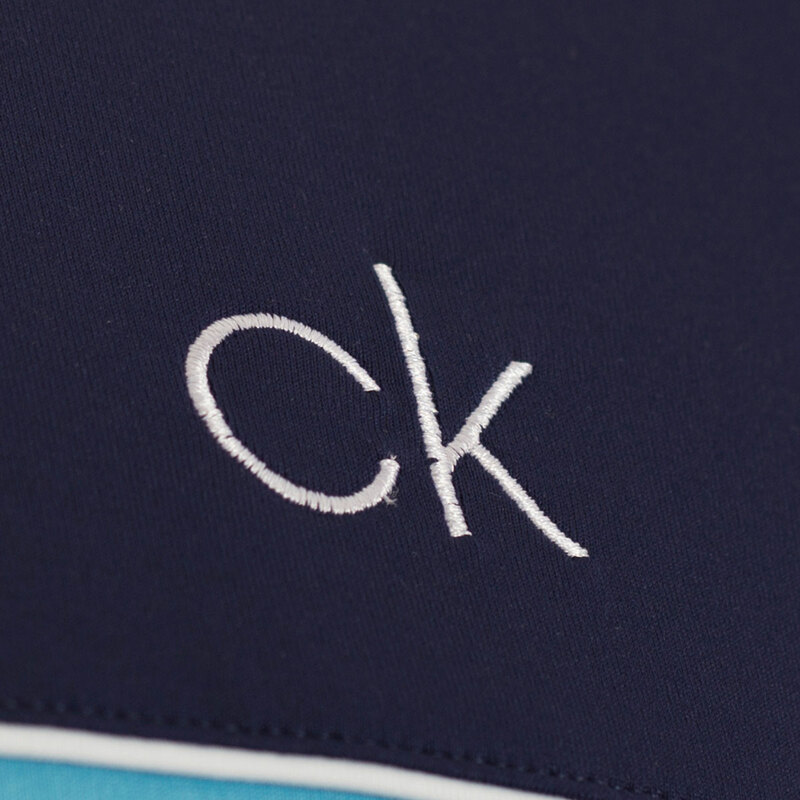 The added stretch fabric enhances comfort and breathability and helps provide increased freedom of movement. 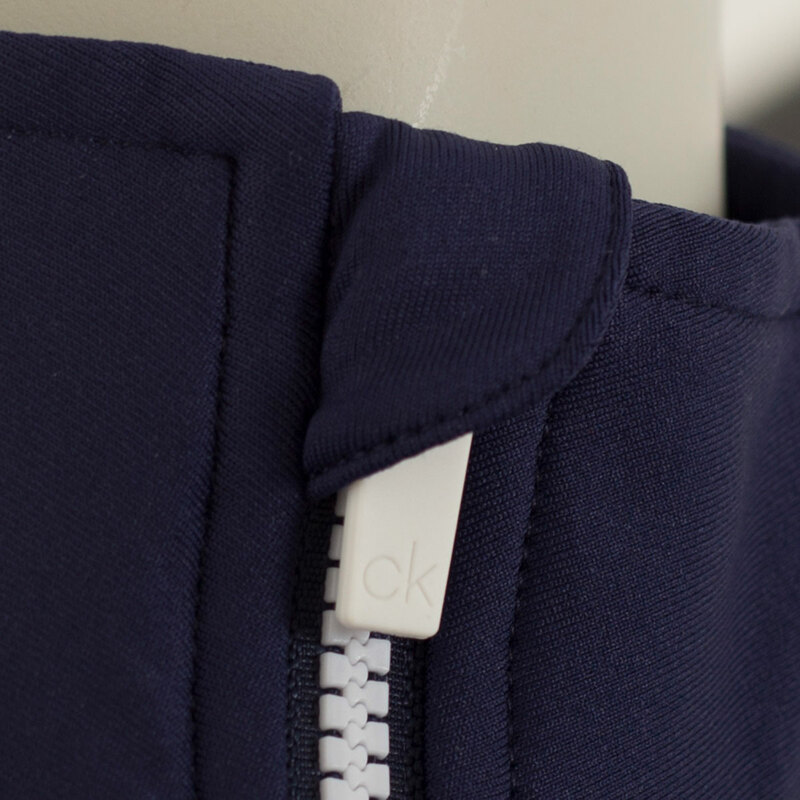 The jacket also features a strengthened collar and self-fabric bands on the hem and cuffs.